It has been said that a journey of 1,000 miles begins with a single step. Five years ago today, Ann and I took our first step together as we walked down the aisle at Westminster Presbyterian Church as a husband and wife. Since that day, we’ve been on an amazing life journey. As we celebrate our fifth anniversary today, we thought we’d share some of our most memorable experiences. As we look back, we are thankful for the opportunities we’ve had, and are even more grateful that we could experience these things together. Great weddings require a lot of planning. I was happy to be involved in planning our wedding. I told Ann from the start that I trusted her judgment—I just wanted to work on the honeymoon. I cooked up a wonderful week in Costa Rica with what Ann called the perfect mix of relaxation and activity. 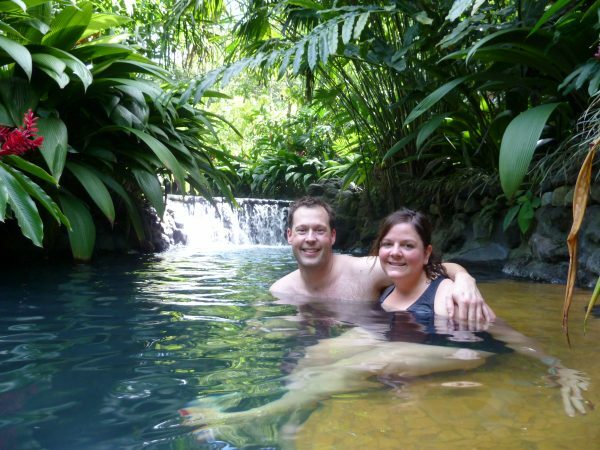 Tabacon Hot Springs Resort and Spa is, by far, one of the most romantic, relaxing places on earth. We basked in a volcanically heated river on the side of Arenal Volcano, took a zip-line adventure 400 feet above the treetops, and enjoyed what is probably the most romantic dinner of our lives—in a private gazebo in the rainforest served by our own chef and waiter. 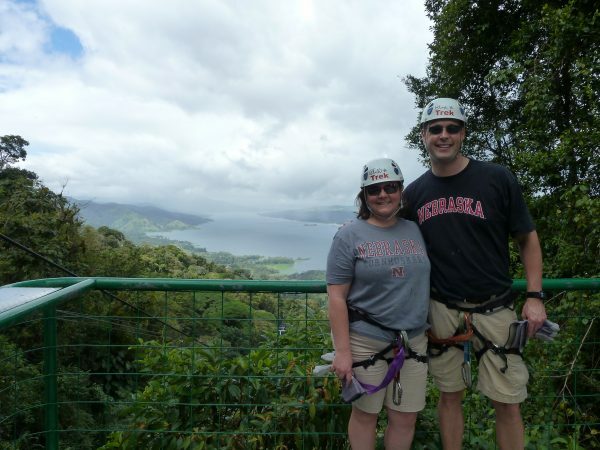 What an exciting way to start a marriage — zip lining 400 feet above the tree tops in Costa Rica. 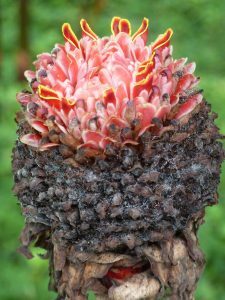 We loved exploring the rain forest and seeing the incredible plant life in Costa Rica. We loved the Costa Rican coffee and gallo pinto in the morning. We enjoyed the smells of the flowers and the views from the mountains. We cherished our time on the beach and the opportunity to dip our feet in the ocean. And most importantly, we fell even more in love with each other there. Pura vida at it’s best. Anyone who has been married will tell you that everything doesn’t always go just as you planned, and there really will be a time to remember your vow to be there for each other through sickness and health. Over the past few years we have made more trips to Rochester, Minnesota, than anywhere else. 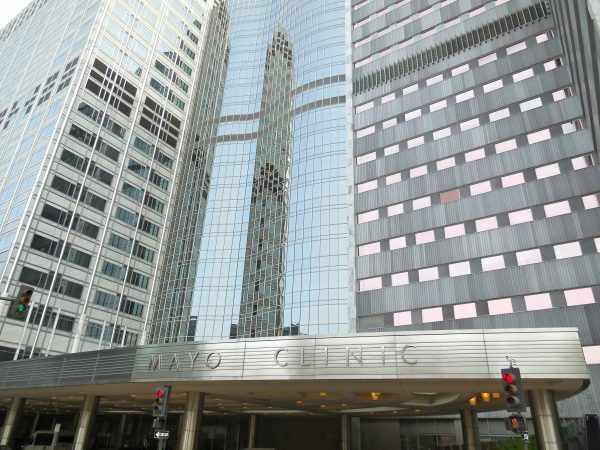 One of the world’s best medical treatment facilities – Mayo Clinic in Rochester, Minnesota. Two and a half years ago, Ann was diagnosed with a rare immune disease called cardiac sarcoidosis and has had surgeries and treatments at the world-renowned Mayo Clinic there. 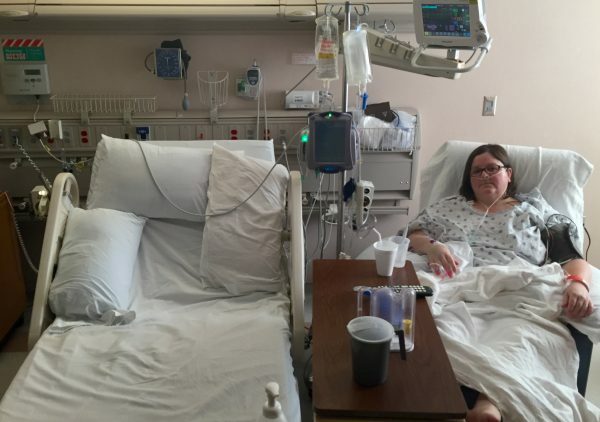 Recovering from thoracic surgery at Mayo Clinic’s St. Mary’s Hospital in Rochester, Minnesota. While these trips are no vacations for either of us, they have brought us closer together and have helped us treasure every day we have together. The Mayo Clinic is a place full of answers, help and hope and we are always grateful for the opportunity to go there. In the end, our time spent in Rochester has been a big part of our first five years and even though it doesn’t always bring back the happiest of memories, it is a part of our journey. 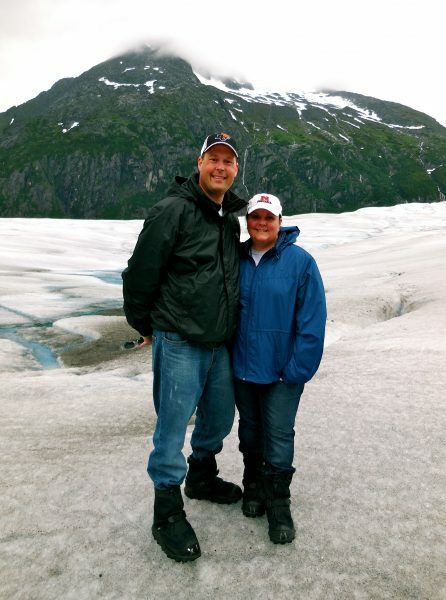 In 2013, we took our first cruise and went on a family vacation to Alaska. 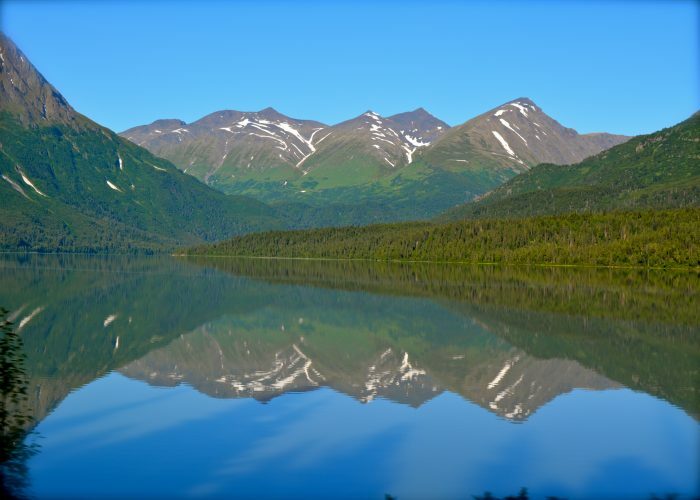 A beautiful reflection shot, taken from a moving train en route to Anchorage, Alaska. Here’s the thing about Alaska: it is stunningly beautiful. 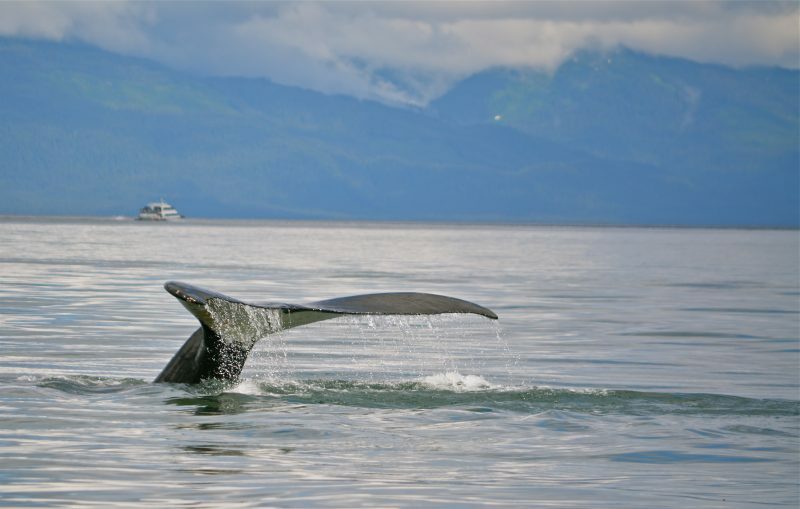 Everywhere we turned we were confronted with another jaw-dropping vista of mountains, ocean, glaciers, and wildlife. We took a helicopter ride to the top of glacier where we were able to sip glacier water and explore the terrain. Where else on Earth can you find yourself on a small boat watching humpback whales dive literally 10 feet away while salmon jump over their tails, and gaze out across the water to admire a rainbow rising up over a mountain? It is truly a photographer’s heaven. We love to meet new people. Whether it is introducing ourselves to those sitting next to us at a bar or restaurant or shaking hands with people we’ve just met at a conference or event, we just love meeting new people. Over the past five years we’ve met some incredible people like innkeeper Jeanne in Chadron, Nebraska, and the staff at Luminae restaurant on the Celebrity Eclipse. We’ve developed new relationships with fellow bloggers, our readers, and travel enthusiasts. And, we’ve made some great new friends along the way. 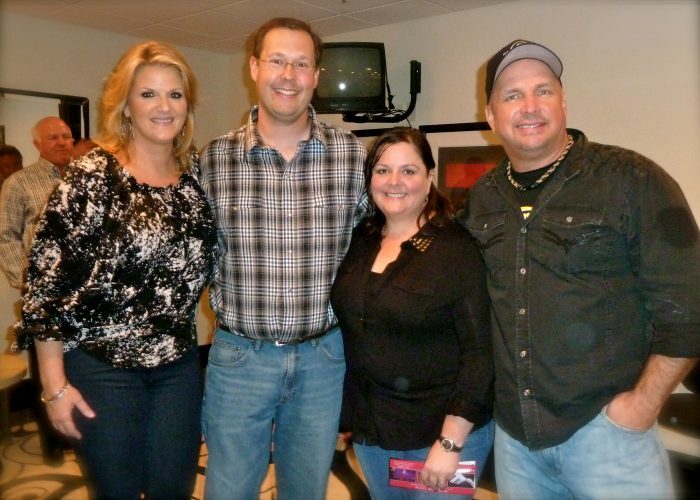 But few meetings will be as memorable as the night we were invited backstage after a Garth Brooks show in Las Vegas to meet the country music legend and his wife and singer Trisha Yearwood. People often say, “Pics or it didn’t happen.” Well, here you go. For what it’s worth, Garth and Trisha are as gracious and kind as you’d expect. Down to earth, personable, and boy can they sing! Our once in a lifetime experience meeting county music artists, Garth Brooks and Trisha Yearwood. From Spain. Via Rome. As you know, all good parents make sure their children get home safely after school, and Ann and I are no exception. That’s why we we made the trek to Salamanca, Spain, last summer to pick Meghan up after she’d spent several weeks there studying Spanish. We were so proud of our daughter and all she had accomplished there and it was a real blessing to be able to see where she had studied, visit her favorite museums, and meet some of her teachers. 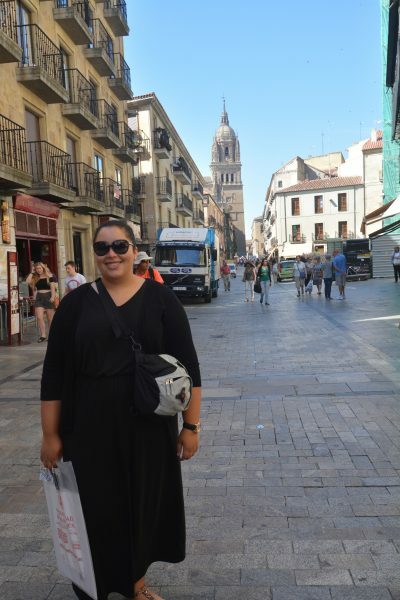 Meghan studied Spanish Salamanca, Spain. And we loved Salamanca. It is a historical city dating back to Roman times and we savored every moment spent sitting in the open air cafes on the square, eating paella, drinking amazing wine and listening to bands playing traditional music. 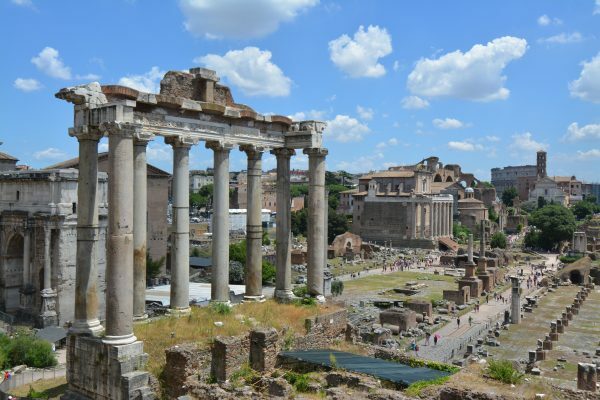 As long as we were headed across the ocean, we stopped first in Rome, admired the incredible history there and enjoyed pasta at a sidewalk cafe before boarding a cruise to Spain. It was an amazing trip. Our view of the Forum in Rome, Italy, seemed like it was right of a history book. When Ann and I were married, I hadn’t done much travel in the state of Nebraska except on Interstate 80. Ann insisted that we take a trip around our state. She and Meghan had taken annual Nebraska trips for close to a decade and she said there were some pretty special things to be enjoyed if we just got off of I-80. Well, she was right. 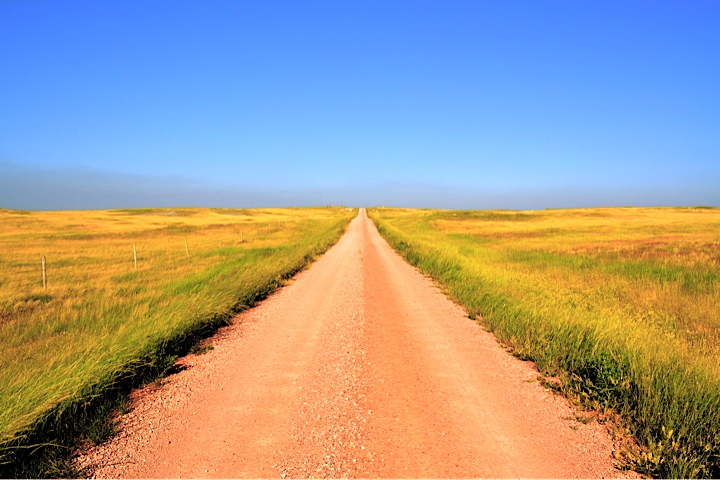 A road in the Sandhills of northwest Nebraska near Crawford. Definitely not I-80. One place she took me that blew me away was Toadstool Geologic Park. 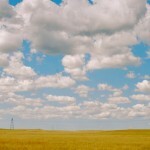 I’ve been twice, now, and both times I’ve been awed by the beauty and unique geography located in Nebraska. Last Spring we shared another experience that was a first for both of us: The Sandhill Crane migration. 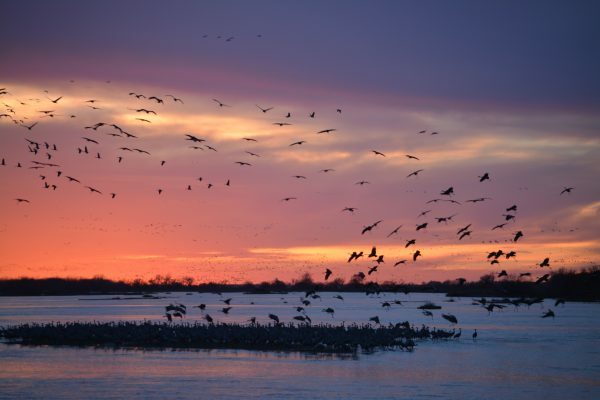 We watched thousands of Sandhill Cranes gather at sunset on the Platte River near Grand Island, Nebraska. Seeing the cranes land on the Platte River at sunset is an almost mystical experience, and it should be on your bucket list. Turns out Nebraska is a pretty special place if you just stop and look around a bit. Every day, God gives us two beautiful light shows that fill the whole sky: sunrise, and sunset. We have always tried to slow down and enjoy these moments when we can. View of the sunset from our cruise ship in Nassau, Bahamas. 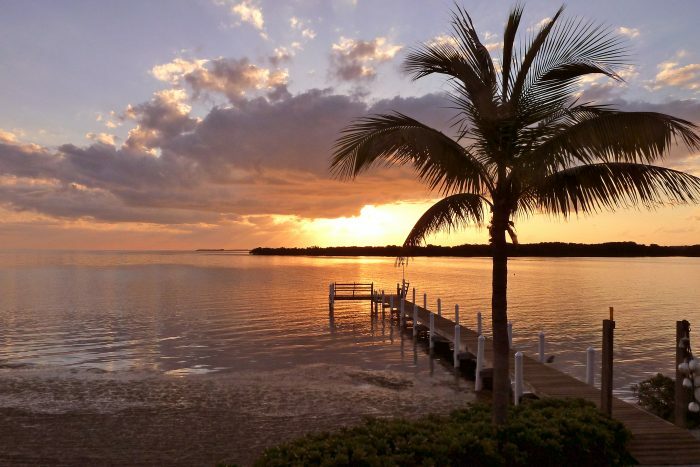 Whether it’s a fiery sky turning orange and red as the sun dips into the ocean, or a glistening sunrise in Estes Park or the Florida Keys — these are times to be savored. 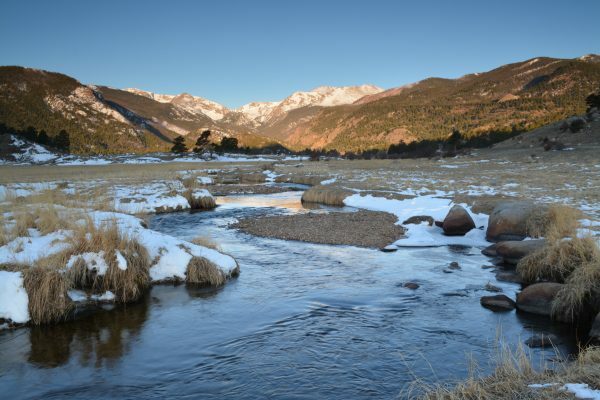 Watching the sunrise over the mountains in Rocky Mountain National Park near Estes, Colorado. 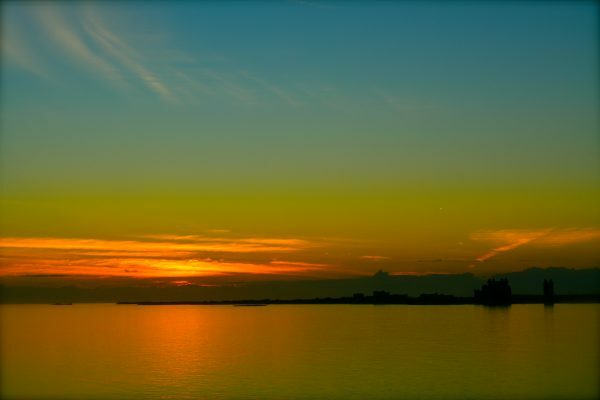 A day of rejoicing with the sunrise on Easter morning from the Florida Keys. 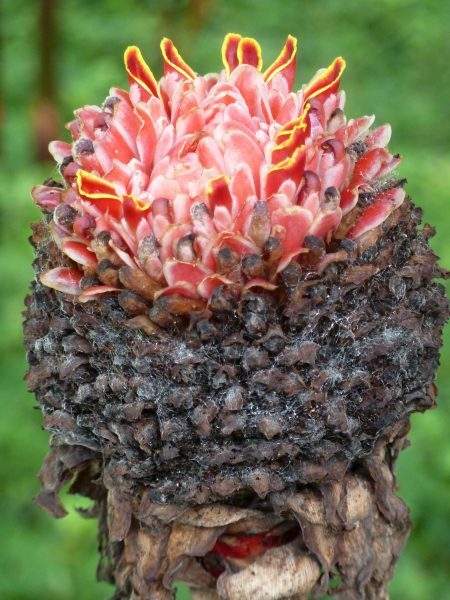 When you stop and think about it, there is nothing made by human hands that can even compare. We’ve been really fortunate to have been able to travel as much as we have the during these first five years of our marriage and we don’t take one trip for granted. Whether it is across the ocean or just down the road, we have always managed to learn something new on our adventures. We’ve experienced something different. And we’ve created memories together that will last a lifetime. None of us knows what our futures will hold. Only God knows whether we’ll have more days filled with or joy or sorrow, sickness or health, plenty or want. The important thing is to enjoy the journey and to remember that most of the time, the only trip you’ll ever regret taking is the one you don’t. Happy Anniversary and Happy Travels! Thanks, Sara. We had a wonderful day.